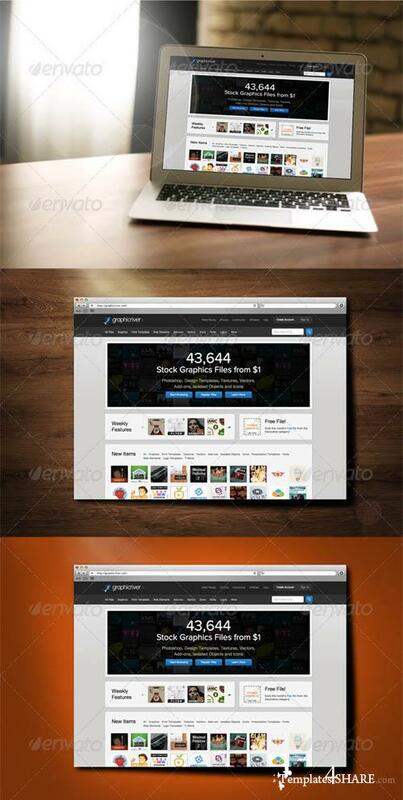 Realistic webdesign (website) mockup. Easily choose one of 4 styles. The files are fully customizable - change the color of the background to the one you need, turn the lens flare on/off.